Mary is the mother of Jesus who is the Christ, the Son of God, who is God. Yet, Mary is NOT the Mother of God! Mary did give birth to Jesus. Yet, Mary did not give birth to the Godhead. She did not give birth to God the Father. 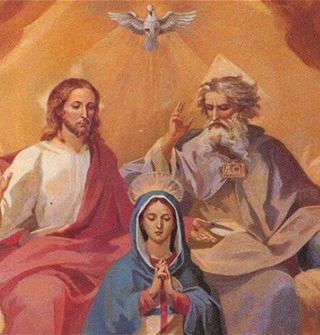 Mary did not give birth to the Holy Spirit. Mary is the mother of Jesus in His humanity. However, Mary is not the mother of Jesus in His Deity. Therefore, Mary is not the Mother of God. When did Mary ever claim to be the mother of God? Neither is Mary the “Queen of Heaven”, which is a title for the pagan goddess Ashteroth. The worship of Mary is utter blasphemy against God.